Planning a small or big group getaway? Need a minibus for your wedding? Need transportation for your school or university sports group or outing? No problem! 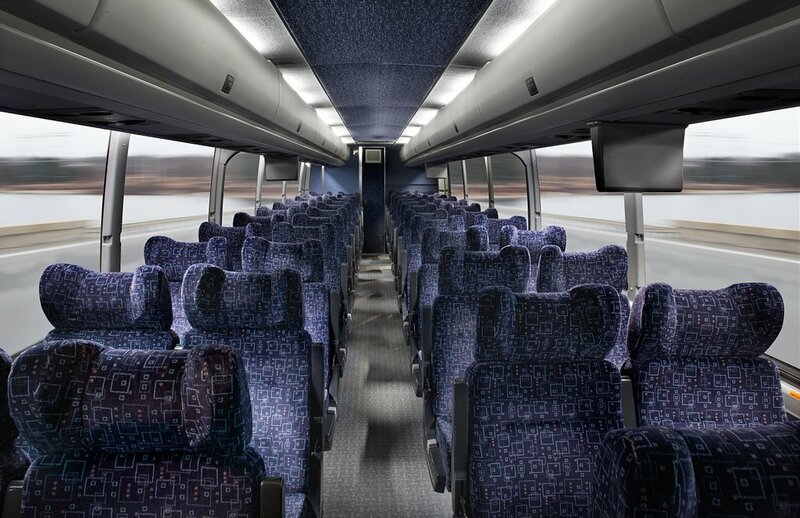 With Silver Fox Motor Coaches, you can charter a luxury bus and have it all to yourselves. Whether you are an institution, corporation, college/university, tour operator, or a group of family or friends, we will work with you to find a solution to your transportation needs. Silver Fox operates 32 luxury units to serve your group needs in the Northeast and the Mid-Atlantic regions. From Mini Buses to full-size Motor Coaches, seating capacity is from 29 to 56 passengers and amenities include lavatory, DVD, stereo, complete climate control, and Wi-Fi. 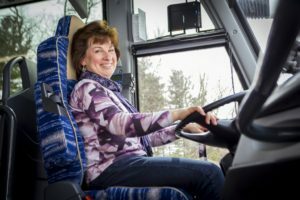 We have chartered tours that have ranged in size from 1 bus to over 100 buses! Our Handicap-Accessible Bus is a $550,000.00 deluxe motor coach that allows travelers with disabilities to join us on our tours! 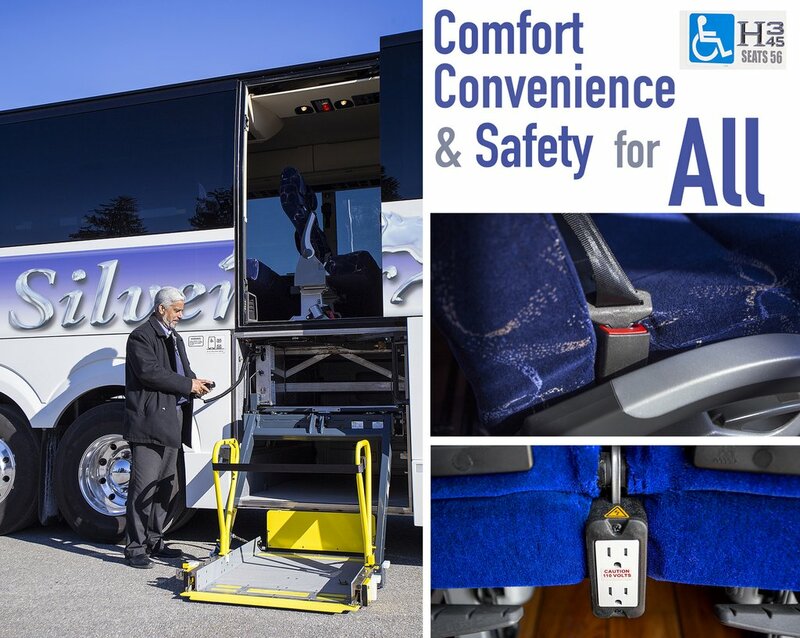 The coach bus is equipped with a lift to safely bring people on, and then the wheelchair is secured for one’s safety. Don’t delay…reserve it today! See our Coaches and Mini Buses! 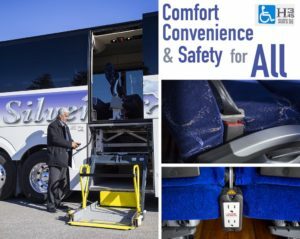 Ride in Style and Comfort! Copyright © Fox Tours & Silver Fox Motor Coaches. All Rights Reserved. Photos by Design Imaging Studios.